The city of Rourkela is nestled in the lap of nature, surrounded by beautiful hills and lakes. The city is a home to the Raulia tribe, who were the original inhabitants of the area. 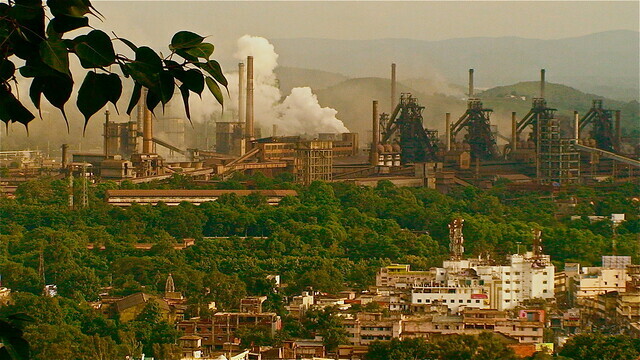 The city came into eminence after the setting up of three public sector steel plants in 1955. The city is situated in the mineral rich belt of Orissa, there is a plant which is mainly devoted to the production of steel products and sheets. The famous epic writer Ved Vyas hailed from Rourkela. The city is a combination of religious belief and natural beauty. The city has more than eighteen temples some of the famous ones are Vedvayas, Hanuman Vatika, JanghaDev, Bada Dev, Dasaraja Garh, Balaji Temple, Maa Bhagwati Temple, Gayatri Temple, MaaVaishno Devi Temple, Rani Sati Temple and many more. The Hanuman park is the most popular among the many parks that exists in the city. The park has a 75 foot tall statue of Lord Hanuman , which is a major tourist attraction. The other popular parks are IG Park, , Jubilee Park Nehru,Traffic Park & Mrig Vihar and the Green Park. Located very close to Rourkela is another tourist spot named Mandir Dam , which has activities like boating and picnicking.From the dam tourists can enjoy a magnificent view of the beautiful green forests around the dam. Rourkela serves as the most convenient base for visiting the places of interest in the district of Sundargarh.